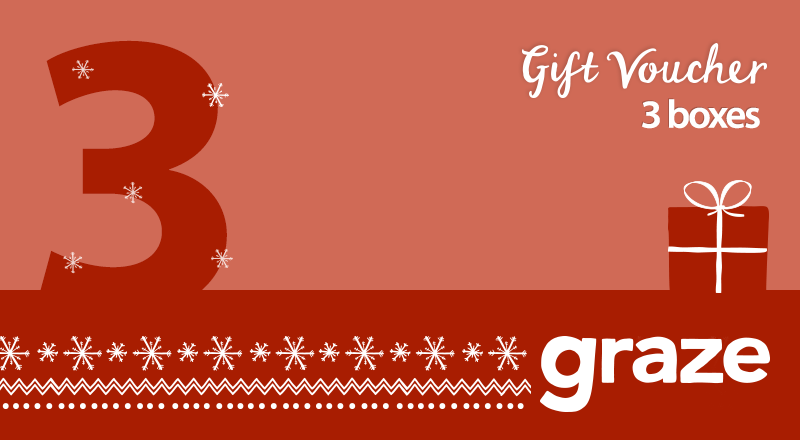 These gift vouchers are for our subscription box that normally cost $14.99 each. Once you've bought the vouchers all you have to do is print them or email them to your recipient. 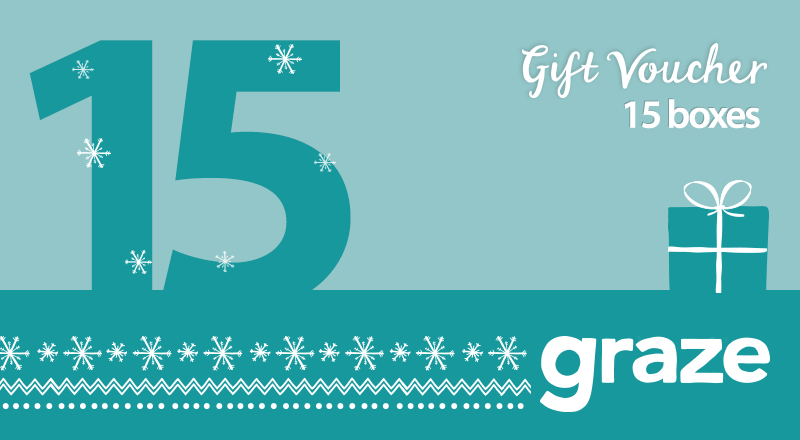 When they receive the vouchers they can visit graze.com to choose their box and tell us where to send it. If your recipient changes their mind they can make changes to their box deliveries at any time. All gift vouchers are for our 8 snack boxes. Delivery of graze boxes can be made to US addresses and PO Boxes within the 50 States. Gift vouchers cannot be used in conjunction with any other offer or promotion. Gift vouchers cannot be returned or exchanged. There will be no refunds or credits for any unused portion of a gift voucher. 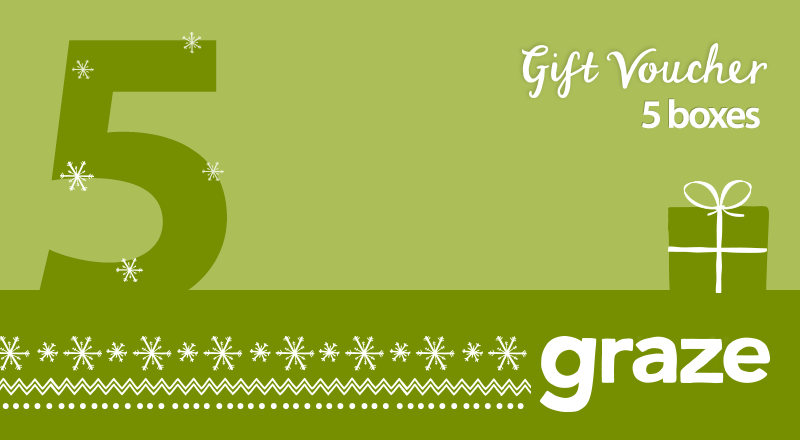 Graze are not responsible for lost or stolen gift vouchers. 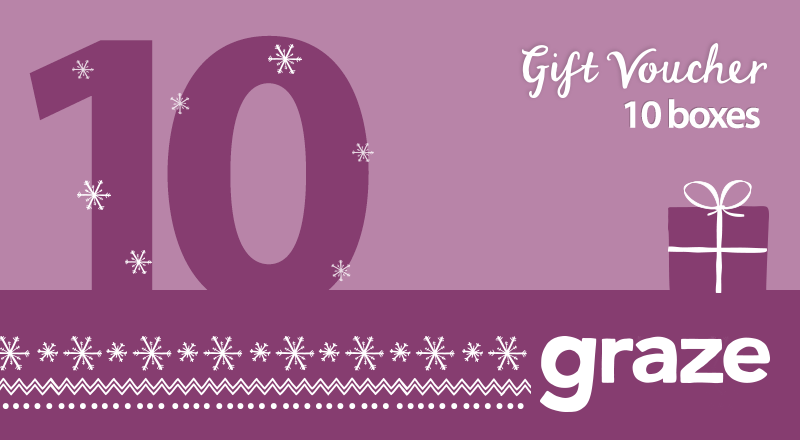 Gift vouchers are subject to the terms and conditions of the graze service.